Park Hyatt Mallorca is a luxury retreat which reflects the style of a traditional Mallorquin hilltop village with references of local art and cultural heritage. Situated in a tranquil valley surrounded by natural beauty, the resort offers a place of escapism and promises to create unique and mindful experiences for all guests. Indulge in massages and beauty treatments at Serenitas Spa, based on the island’s minerals, herbs and fruits. Impressive venues inspired by the comforts and qualities associated with luxurious residential design, perfect for weddings, meetings or any social event. Explore Masters of Food & Wine, a special culinary and beverage series brought to you by Park Hyatt chefs, sommeliers and specialists around the world. No two Masters of Food & Wine events are alike. Enjoy sophisticated residential comfort in one of the 126 oversized guestrooms and 16 luxurious suites at Park Hyatt Mallorca. Cap Vermell Suite Experience: Reserve one of our luxurious suites and enjoy the following complimentary amenities: Park Suite Garden includes complimentary two way airport transfer for up to 2 guests. Park Suite View includes complimentary two way airport transfer and one 4-course in room dining experience for 2. Presidential Suite includes complimentary two way airport transfer, one 4-course in room dining experience and one 50 minute couples massage at Serenitas Spa. Designed over multiple levels within the beautifully landscaped gardens and terraces of the resort, our pool area is the ideal place to enjoy a morning swim, relax in the sun or invigorate after a day exploring the east coast of Mallorca. The hotel offers four pools: A lagoon-shaped pool for families, a baby pool and a temperature-controlled adults-only pool and whirlpool on the upper level. Seasonal pool closures may apply over the November-March period. For further information and opening days, please contact the hotel directly. Access is complimentary for hotel guests. For couples with exquisite taste, Park Hyatt Mallorca offers the perfect wedding venue, blending contemporary design, sophistication and outdoor elegance in a secluded environment surrounded by nature. Everything you need to ensure a remarkable wedding in Mallorca - versatility, beauty and elegant wedding venues, personal service and planning - can be expected. Park Hyatt Mallorca, located within a 15 minute drive to four 18-hole golf courses, offers the finest golfing all year-round. The resort provides free golf shuttle service to the neighbor golf courses, Golf Capdepera, Golf Pula, Golf Son Servera and Golf Canyamel. 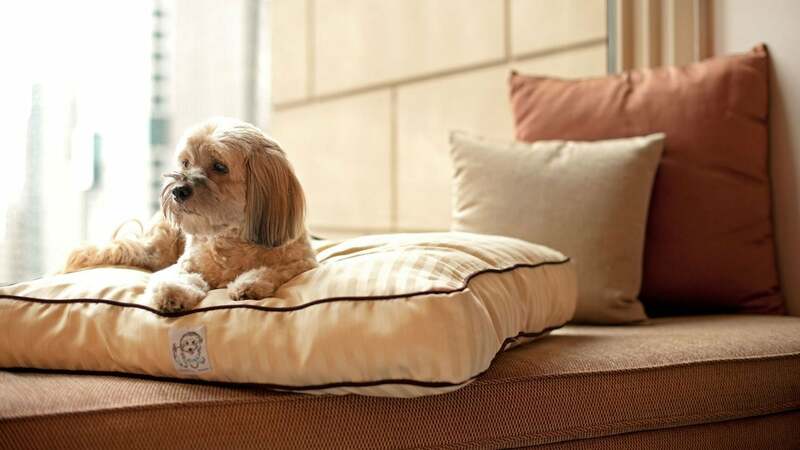 Your pet can stay just as comfortably as you while traveling and exploring the Park Hyatt Mallorca and the east coast of the island. Our housekeeping will deliver a pet bed, dog bowl with water and treats. For the applicable pet supplements please contact the hotel directly. The maximum weight limit for pets allowed is 8 kg per room. Pets must be on a leash at all times in any public area of the hotel. Pets must wear dog tag identifying pet has been registered with the hotel. Pets are allowed in the terraces of the restaurants as well as in public areas. Pets are not permitted in the restaurant indoors, health club and pool areas. Your guest room will not be serviced unless the owner is present and the pet is restrained. If you would like your room serviced during your stay, please touch “0” on your telephone and our Guest relation operator will coordinate your request. The best hotel in Mallorca! Savor authentic spanish tapas and wines in a social space with fantastic views. What else is happening at Park Hyatt Mallorca?